Anti gravity boots, inversion traction table, Lower back stretching unit and anti gravity machines for lower back pain relief. Intersegmental Orthopedic Traction. 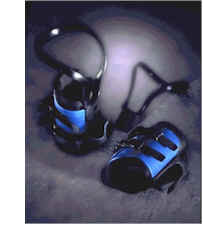 Inversion Therapy Rack and Anti Gravity Boots - Dual bar inversion rack which mounts in your doorway. This wonderful exercise device also doubles as a chin-up bar and literally requires no floor space. This product is ideal for the physically fit athlete who is looking for a way to decompress after a workout. The Rack is used with Anti Gravity Boots to invert at a full 90º angle. While inverted, you can conduct inverted sit-ups, squats, and rotational stretches. Locking Brackets ensure your safety. Dual Bars for EZ Mounting and EZ Dismounting Fits into door openings 28" to 32.7" Five-Year Limited Warranty Foam Grips for added comfort Pressure pads to protect door frame Scratch resistant black powder-coated finish. Shipment includes: Assembly Instructions and 14-minute instructional video. More massage, traction and inversion therapy products. Disclaimer: As with any fitness program, people should consult with their medical advisor before beginning inversion therapy. In general, contraindications for inversion are for health problems related to eye pressure, heart or circulatory problems, spinal injury, or bone weaknesses or fractures.